If you’re a frequent EDA reader, then you know how much I LOVE cheese. So I was just a tad excited when I found out I’d have a chance to see how Camembert is produced – in the actual village of Camembert! In preparation for the visit, I read a book aptly titled – Camembert – by Pierre Broisard. It gives an in-depth explanation of how this cheese came to be known as the quintessential French cheese. If you thought this distinction would be left to brie or Gruyere, you haven’t read about the history of this creamy-centered cheese. So I’ll give you the highlights here and encourage you to read the book for more information. 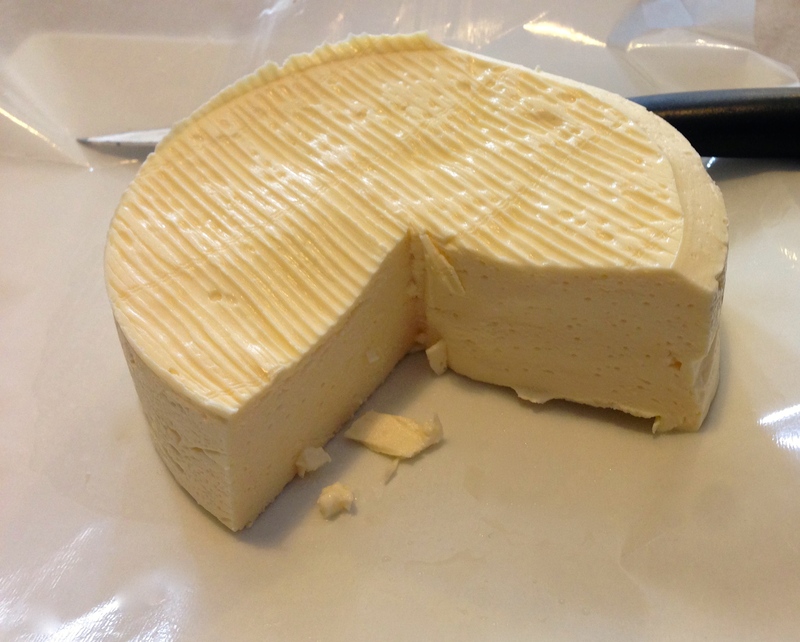 A young cheese – pre-Camembert. Often eaten by the locals. 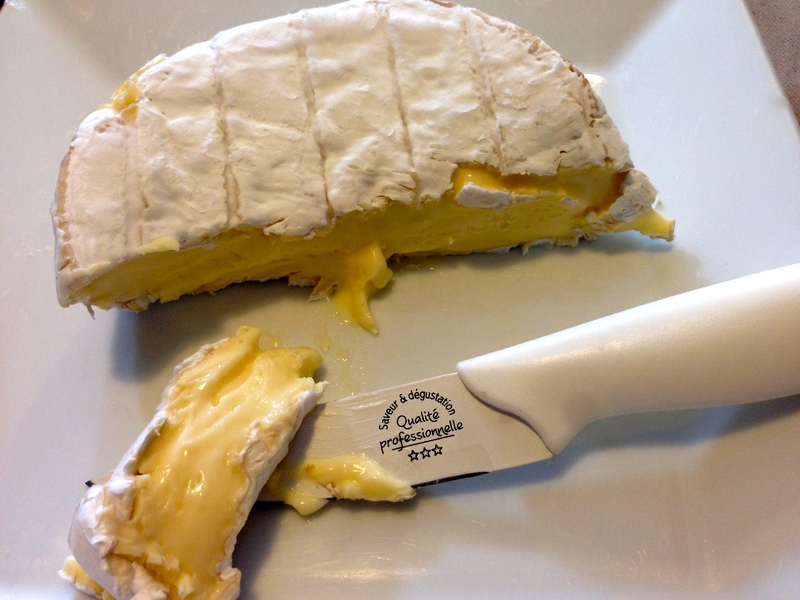 Norman Camembert producers contend that cheese must be made from raw milk (lait cru) that comes from Norman cows and some demand that the timed ladling of curds be done by hand instead of machines (this is a tedious and time-consuming process). What makes Camembert so special is the ladling process that ensures the center of the cheese is creamy. The signature round box was instituted around 1890 as a means of transporting it more efficiently, especially to Les Halles, the large market in Paris. The introduction of penicillin in the 1920s standardized the white color of the rind, which previously could be blue or gray from mold. Prior to the introduction of the box, the cheese wasn’t widely available outside of Normandy and minimally within Paris. Yet Norman cheeses were renowned since the middle ages. There are rumors that Marie Harel first produced it, but it seems to have been in existence long before she lived, although many credit her descendants with helping to popularize it. During WW2, it was distributed to the French troops as part of their provisions (with ample bread of course). Because many of these soldiers came from other regions of France, they had not tasted cheese like this before and quickly grew to love it. 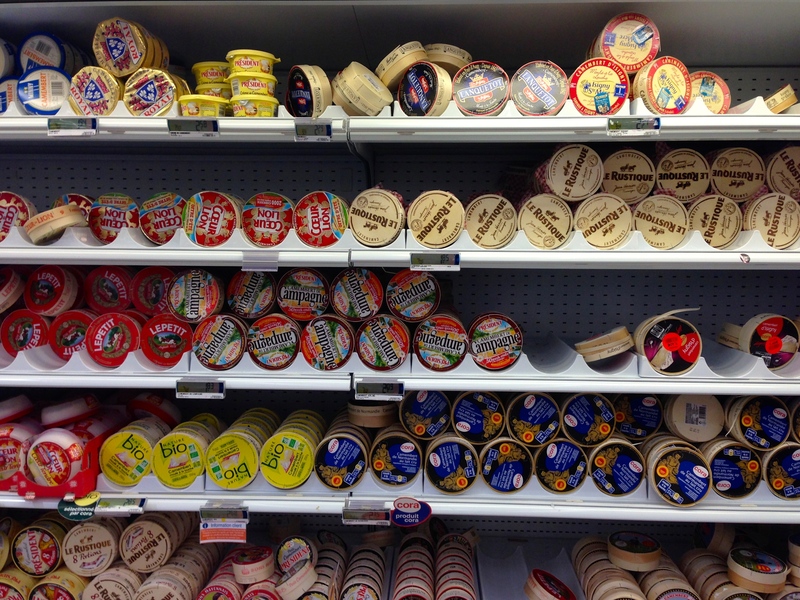 As a result, demand increased for the cheese throughout France and then abroad. Technological developments around the same time led to the ability to transport the cheese faster and allow for mass production. The quality of the cheese, however, suffered. The more widely available version many know today is not what it once was, and may leave many wondering what the hype is all about. Until you taste a true Camembert. To protect their craft and from confusing true Camembert with the machine produced, pasteurized version that lacked the signature center, there was an unsuccessful movement by Norman producers to codify the designation of Camembert, similar to how Champagne can only be from the Champagne region. When that failed, the Norman producers formed a syndicate, the Association Normande, and used the AOC (appellation d’origine controlee) designation that is available for wine and cheese within France – now known as the AOP (appellation d’origine protegee) – and refer to their product as “Camembert de Normandie” – so read the label. One of 10 members of the Association Normande is the Fromagerie Durand, the only member making the cheese in Camembert itself. A family run business since the 1850s, the husband, Francois, does the labor intensive work (with a little help from his daughter) and the wife, Nadia, takes care of the business end (with a little help from her son). Francois and Nadia have been doing this for over 30 years and are ready for a break. 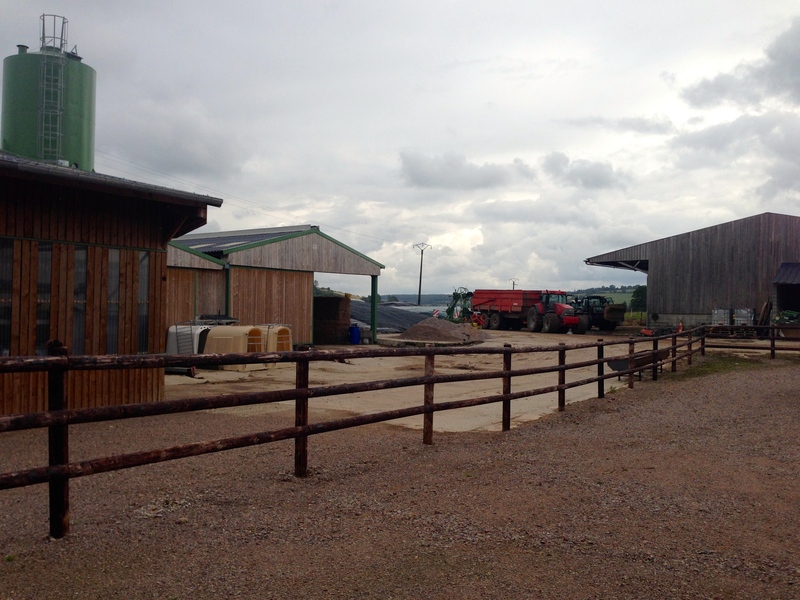 Unlike some other producers, they own the farm, with all the cows whose milk is used to make their cheese. And they don’t use any machinery to ladle the curds in their partially skimmed milk. 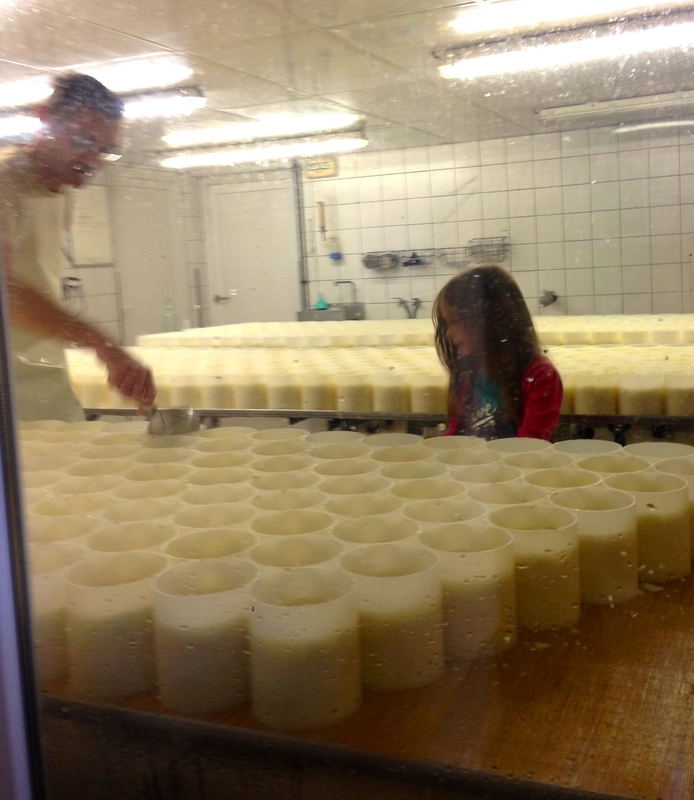 They produce about 600 Camemberts a day, which are ladled into molds during the day, flipped in the evening, and the molds are removed in the morning. Then the cheese is trimmed, salted and sprayed with penicillin. If you visit, you can watch a video of how the process occurs, and see the cheeses in their various stages of drying, aging and alcoholic fermentation. After 17 days wrapped in very finely perforated wax paper, the wax is scraped off. 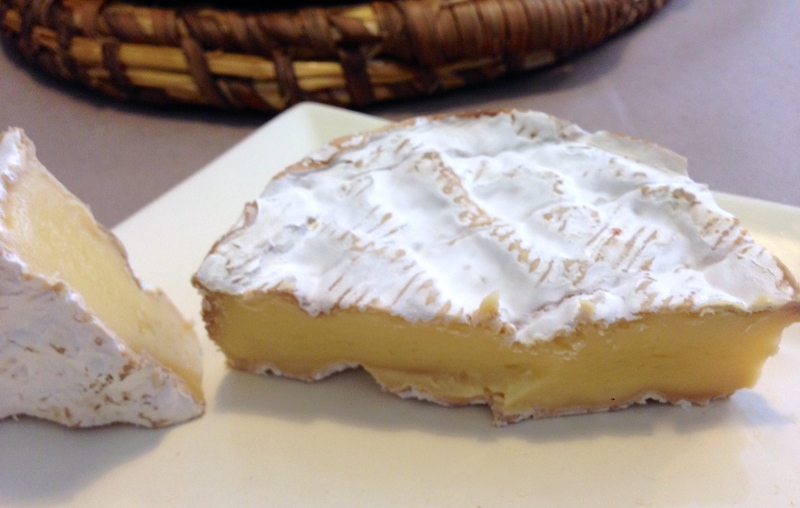 The cheese continues to mature and oxidize for 45 days, and then it is officially a Camembert. And if you’re lucky, you can even see Francois ladling the curds, which is done 5 times with 40 minutes in between each ladle. This is the secret to the creamy center and what makes Durand’s cheese different from other producers. Each will have slightly different flavors based on what the cows eat, as well as a different consistency, depending on the ladling process and time in between, as well as the length of aging. Francois getting some help from his daughter. The farm is for sale, if you’re interested. I’ve given it a little thought, but since I’d prefer not to be tied to the cheesemaking process on a daily basis, I’ll stick with my minor forays into making ricotta and leave my primary cheese role to consumption. After all the wonderful cheese I had in France, I’ve become more attentive to what I buy in the US. 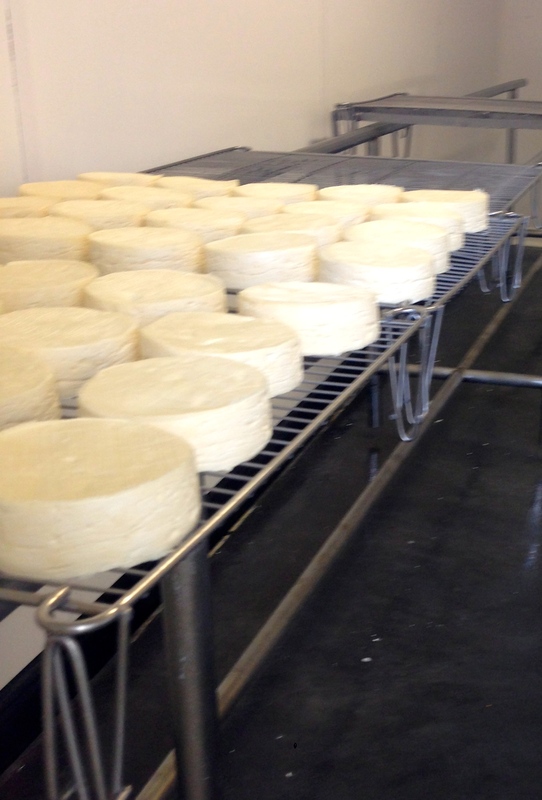 Fortunately, raw milk cheeses are now available Stateside. Besides hard cheeses imported from France, Germandy and Switzerland, I’ve found raw milk Morbie, blue and a good selection of US producers – from Vermont in particular – that offer creamy raw-milk cheeses that reflect the terroir in the milk. Whole Foods has a good selection. And if you live in NYC, try Gastronomie, Bedford, Saxelby or Murrays. 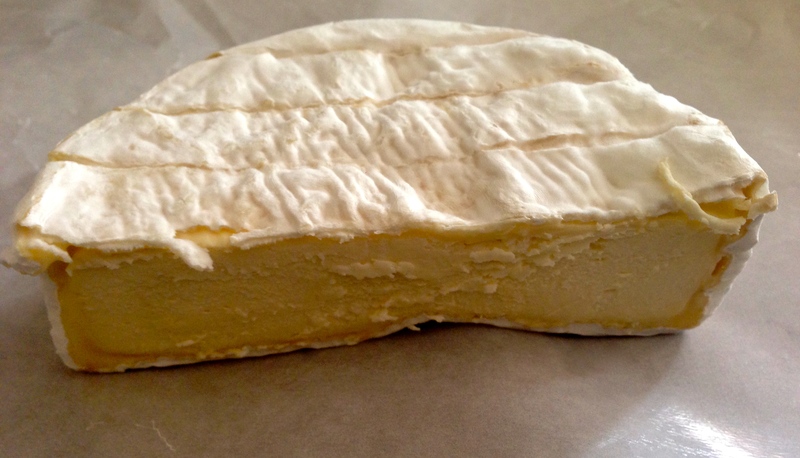 I will still be missing my real Camembert, which I have yet to find. Yet another excuse to return to France. 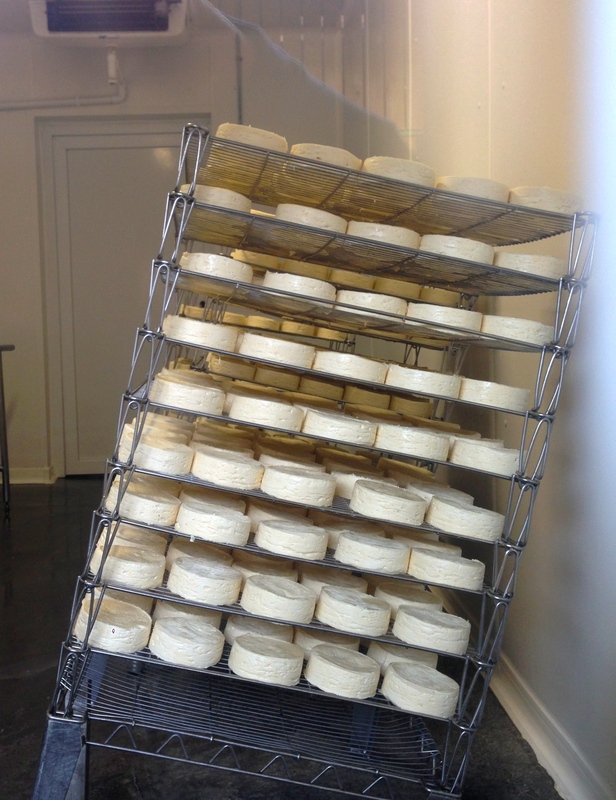 Also look for Livarots and Petit Basques- two other Norman cheeses that are wonderful!